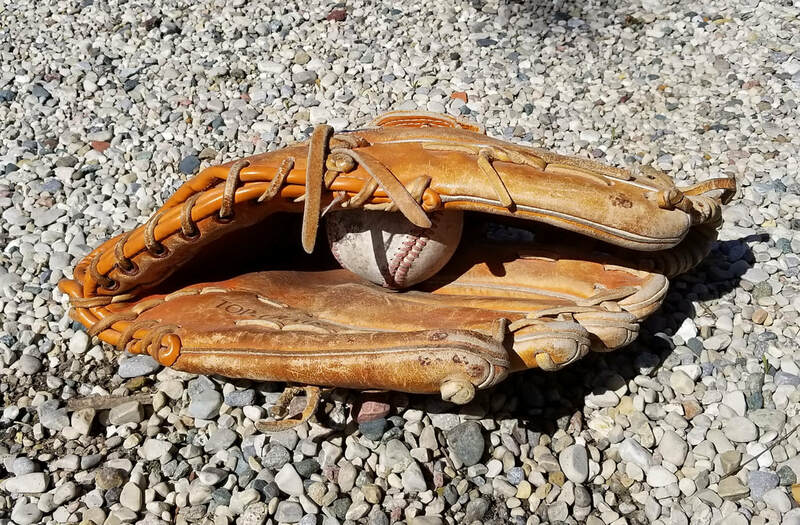 Coach Gomez de Leon: The anticipation of playing a tough team like Big Rapids was killing us as the game was originally scheduled to be played on 04/15/19, but due to weather it was rescheduled for Tuesday, 04/16/19 and then again rescheduled a second time for 04/19/19. Going into this game we all knew Big Rapids as a dangerous team, but my father taught me that if we want to be the best we have to play the best and want it more. How much we wanted it showed as our lady Tigers started the game playing smart defense; in fact pressing was the name of the game. In an intense fight for ball control Lady Tigers took advantage of a clear run creating a beautiful play in which Nikki Tellkamp was able to crash the ball into our opponents net. The first half ended 1-0 with our Tigers leading. Second half started and in one of the many chancy corner kicks from Big Rapids they ended up scoring; leaving the game at 1-1 with time still on the clock. The clock was ticking down and with a minute and a half left Tigers kept trying to pressure forward for the win, but a great shot from Big Rapids caught us off-guard and ended the game 1-2 in favor of Big Rapids. Despite the hard loss, I am proud of my girls as they showed up and demonstrated that they are a team to watch out for. A team that will force other schools to bring their A game, because we will not make it easy. Coach Gomez de Leon: Despite the weather, Lady Tigers were excited to play. We had to be cautious to not be overconfident prior to the start of the game, but as the game started it was noticed that our ladies were not playing at the high intensity I know they can play at. During the first half, the Tigers were able to get 7 goals in and less than 10 minutes into the second half the 8th goal was scored and the game ended 8-0 in favor of our Grant Tigers. Delaney Cronk and Nikki Tellkamp achieved hat tricks (scoring three goals in one game), Emme Losee scored for the second time this season, and Teslynn Ausema scored her first goal in her high school career. Our defense did not see much action today, but Carli Fryling (stopper position) pushed forward and attempted to get near the opponents goal. Lili Scott (keeper), was able to play forward where she had 1 assist and while in goal had 1 clear save. Good job ladies! Way to get those points. Coach Vissia: The Packers and the Cardinals played a back and forth match until Fremont finally broke down in the final 10 minutes of play. Natalie Jamieson for Fremont netted the first goal of the match in the first minute. Selena Wright answered 10 minutes later for Big Rapids and the scored remained 1-1 at the half. Fremont's Avery Curnett started the scoring 10 minutes into the second half on a pass from Jamieson. The Cardinals scored 15 minutes later to knot the match once again. The game remained tied at 2-2 until the final 10 minutes of the match when Big Rapids scored three goals. Josie Sanders, Leah Alley and Vallery Seay all netted goals for Big Rapids in the final minutes of play. Big Rapids outshot Fremont 11-5. Audrey Johnson from Fremont made 6 saves and Geralynn McAdams from Big Rapids made 3 saves. Big Rapids improves to 4-1-1 while Fremont falls to 3-2-1. The Panthers were held to a single run in the opener courtesy of an Ellie Palmer RBI while the Vikings jumped out to a quick lead and cruised to the win. Alyssa Miller and Caragan Frees each doubled for Hesperia. Game 2 saw the Whitehall offense put up numbers in every inning while the Panthers fired back with a pair of rallies but still came up short. Makenna Swisher slashed three singles and scored twice while Palmer also delivered a trio of singles and crossed home two times. Miller drove home a pair with 2 hits and a sac fly. Palmer took the loss from the slab in game one and Lynssey Tinkham was saddled with the defeat in the ‘cap. Zoe Bancroft playing in right field had a handful a great defensive plays, including a diving catch to rob a Viking hitter from an extra base hit. With the losses the Panthers fall to 1-5 overall and 0-2 in the CSAA Silver. Coach Bolles: “It’s tough only having one win to show for all of our hard work, but in our first three DH’s we’ve played three quality opponents in, Newaygo, Holton and Whitehall and we’ve competed each time our... these tough games are only going to make us better in the long haul. The Packer golf team traveled to Saint Ives at Canadian Lakes to play in the 2019 Lakeview High School Invitational on Thursday April 18th. A total of 16 teams competed in two divisions where temperatures were in the low 50’s and a light rain persisted for most of the day. The format is different than all other events the team will play during the season. Rather than individual stroke play the format is match play in which players compete against each other for nine holes. The match play format awards points for the individual matches which in turn determines the team championship and the finish for all the teams in their division. The individual players are reset for a second and a third nine hole match throughout the day. 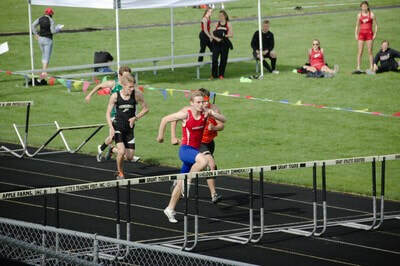 The Fremont boys team competed in a competitive field of teams from Big Rapids, Cadillac, Cedar Springs, Belding, Sparta, Orchard View, and Tri-County. At the end of the day Cadillac and Cedar Springs tied with scores of 41 points with Cadillac emerging the winner after a tiebreaker. The Fremont varsity team accounted for itself quite well finishing 3rd with a total of 29 points narrowly besting Sparta with 28 points. 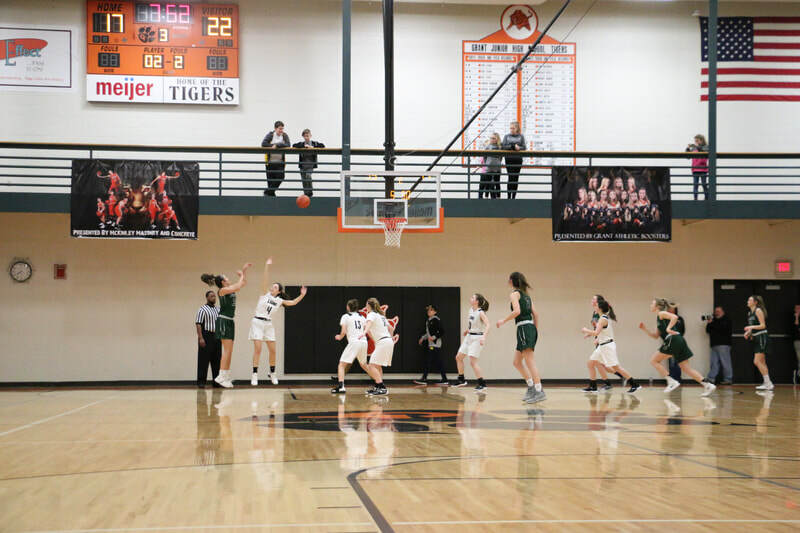 The remainder of the division included Belding, 25 points, Big Rapids, 22points, Tri-County, 20 points and Orchard View 10 points. They finished 4th through 8th respectively. Competing for Fremont were Wyatt Kaastra, Noah Christiansen, Cole Roseler, Tyler Holmes, Preston OsterHart, and Nathan Andersen. While an individual medal honor was not achieved the team played well together to garner the 3rd place finish. The boys returned to action on Saturday, April 20, playing in the Kent City High Eagle Invitational at The Falls Golf Club.. The boy’s placed 4th of 8 teams scoring 128 points. All events were run as relays. The 4x1600 was run and scored cross country style will all runners starting at the same time and doing a loop outside the track. *there was a timing error in the 4x800 and 4x200 so those times are not correct. - The team will run against Big Rapids and Chippewa Hills on Tuesday at 4:00 in Reed City. Fremont was outplayed by the Orioles of Ludington Tuesday evening and the score reflected the play. Bre Mesyar scored her first goal with 7 minutes to play in the first half off a set play. She followed that goal up with another 2 minutes later when she chipped the Packer keeper. The scored remained 2-0 until 10 minutes remained when Katrina Lesinski netted a penalty kick goal. Ludington outshot Fremont 10-3. Audrey Johnson made 7 saves in net for the Packers while Lindsey Brato made 3 saves for Ludington. Ludington improved to 1-3-1 overall and the Packers fell to 3-1-1. The season started on November 5th when ‘official’ practices began. 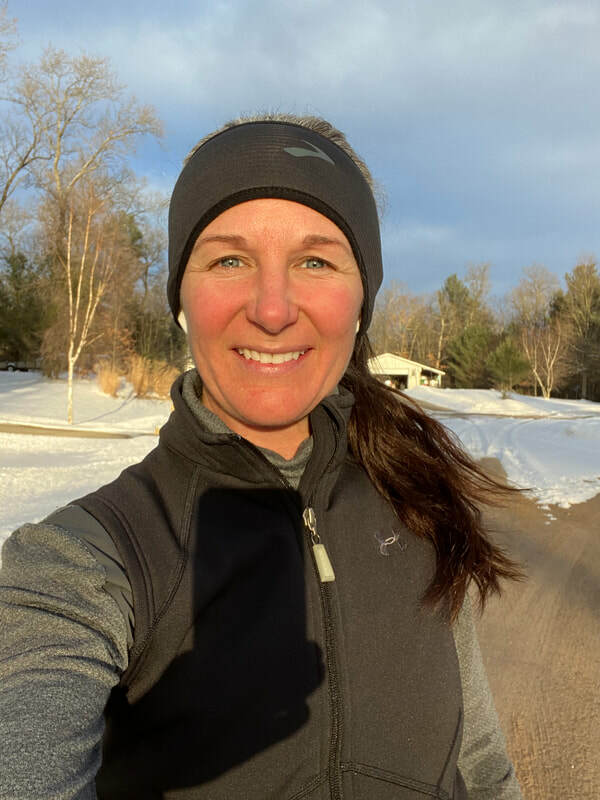 Many of the players were moving over from the football fields, soccer fields, volleyball courts and cross country courses to the gym while others who played the game year round were prepping to meet the players from other teams they knew and sometimes played with from the AAU courts. 4 ½ months later their season came to grinding to an end with a loss. After all, there are over 1400 teams that take to the court for about 20 games and then move on to tournament play. Of those only 8 finish the season with a win. One out of about 180 teams. We salute the coaches, ADs (particularly the AD secretaries), team managers, and the majority of fans (we don’t have to clarify if you’ve been to a game) as well as those men and women in stripes who strive for fairness on the court. (We remain puzzled as to why all the best coaches and referees are seated in the stands rather than on center stage but that’s another story altogether). But most of all we salute the players. All of the players. 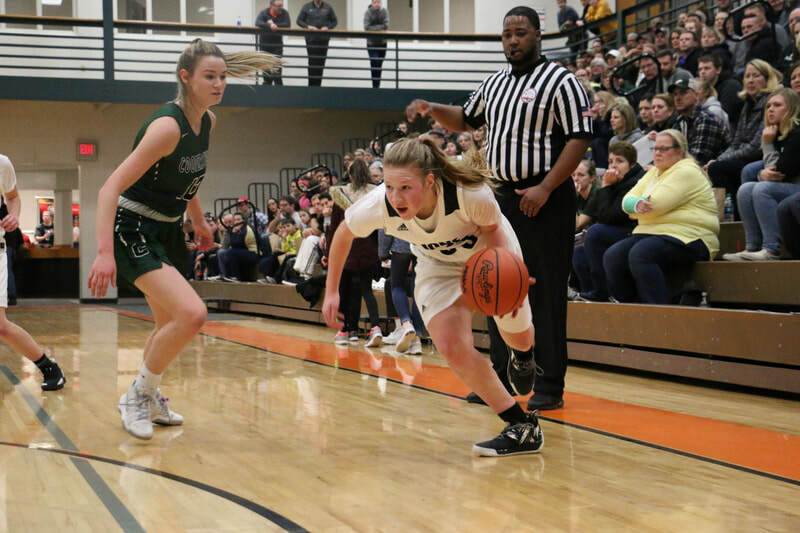 While this article focuses on the young men and women who have excelled on the courts this season there are many more who contribute by preparing their starters for the games, putting in just as much practice time and taking the same lengthy bus rides to the far reaches of the conference only to spend most or all of the game cheering on their teammates. They may only see a few minutes of playing time but their contribution is far more significant than the stat sheet will ever show. We selected our teams based on personal observation and the invaluable input from coaches who sent us information on games all season. Covering a multitude of schools and being a bit on the thin side when it comes to personnel, this information has been vital to our coverage. While some are more consistent than others we recognize that after a week of practices, on top of the grueling task of directing the games and all the other work that goes with coaching young people we ask they take even more time to send us info. When they follow through we are greatly appreciative and when they don’t...well, we try to understand. Wow, what a career. Earlier this season Hannah shattered the all time White Cloud scoring record for girls basketball. 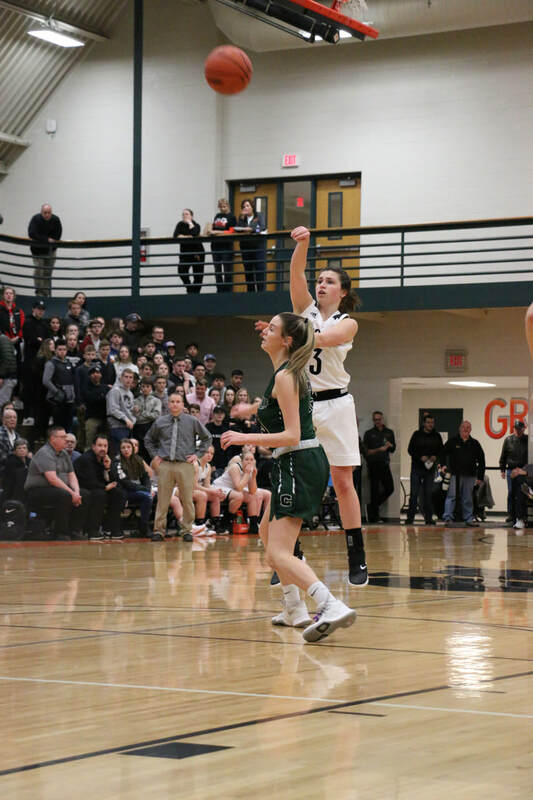 Later in the season she eclipsed the highest boys career total and before she was done she landed in the MHSAA record book as well finishing with 251 shots canned from beyond the arc for 5th on the all time list including 76 this season. Kurt Brown was as proud to be her coach as he is to be her father. 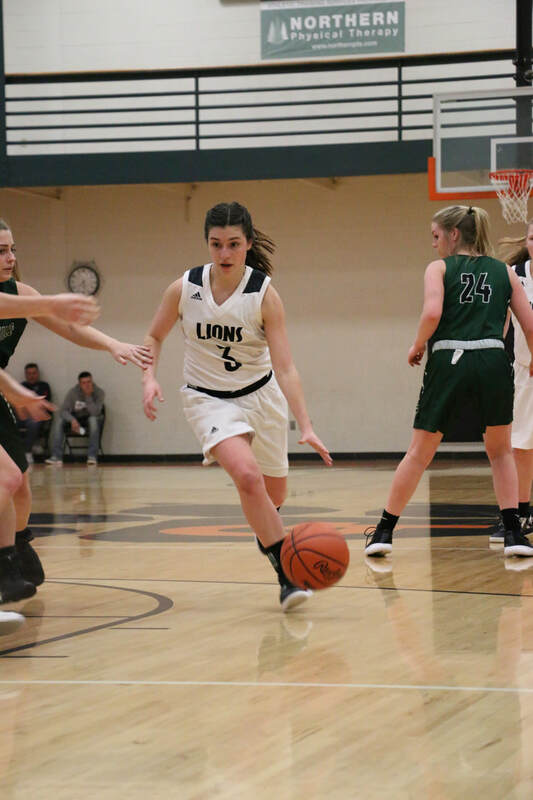 The consummate defender who wreaked havoc in the backcourt,Sophia was the glue girl for the Lions this season this year. One of the top 2 or 3 in scoring, rebounder, assists, and steals. She was also the best on the ball defender on the squad. Her assignment was always the other team’s best guard and she did a good job of stopping them. 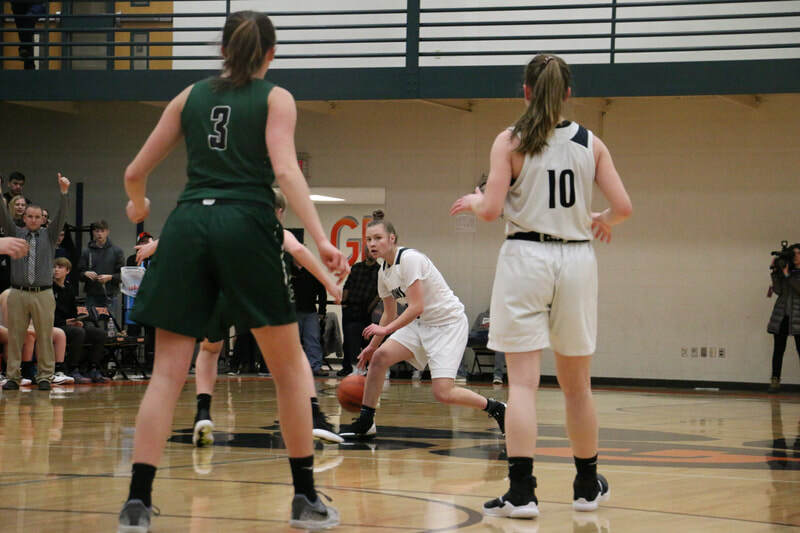 In a game against Grant, Sophia banged in some big time shots and in the tournament loss to Comstock Park she was able to neutralize one of the top players in the OK Blue while dropping in some clutch shots from the charity stripe. Coach Nate Thomasma: "Sophia made a big jump from her sophomore year on Varsity. She takes coaching very well and is willing to take any role that will help the team be successful. Sophia has made herself into a great defender and leader. Her offensive game has grown and I look forward to working with her again this offseason." Natalie averaged just over 8 points a game and ran her opponents ragged with her high octane energy level. A fun player to watch who seems to be all over the court as she added to her scoring by picking off 7 boards and over 4 steals per contest. 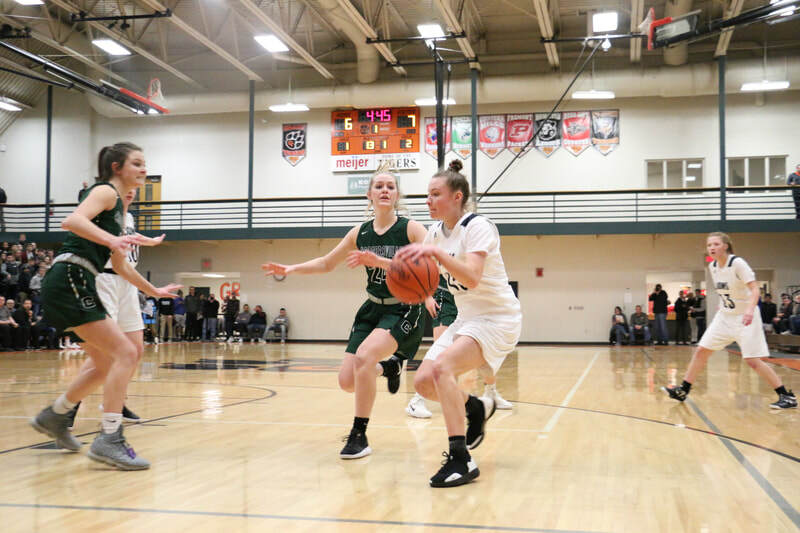 A versatile defender she swatted away 5 shots against Chippewa Hills while grabbing 7 steals and against Big Rapids she put the game away with a dozen 4th quarter points. The successor to Hannah Brown as the best offensive player in the area, Jaylee led the team in scoring (15.4 ppg) and assists (3.6 apg). 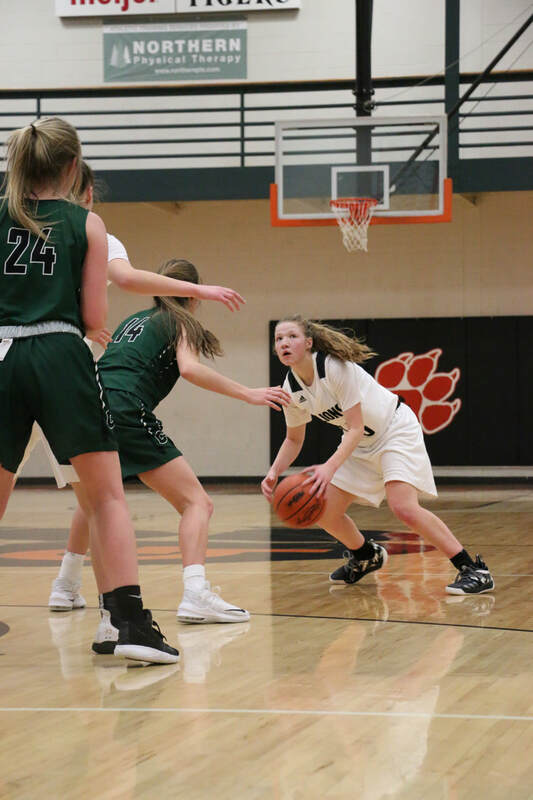 Jaylee had 6 games where she scored over 20 points but the game against OK Blue Champion Comstock Park in the District Semi-Finals was her standout performance. She had 20 points by halftime and dished out a half dozen dimes for good measure. Coach Thomasma: “Jaylee had a good sophomore year. She worked hard in the offseason on the court and in the weight room and it showed. She improved her totals in every category (points, assists, rebounds, turnovers) and I thought she stepped up as a leader. She seemed to get stronger as the year went on." 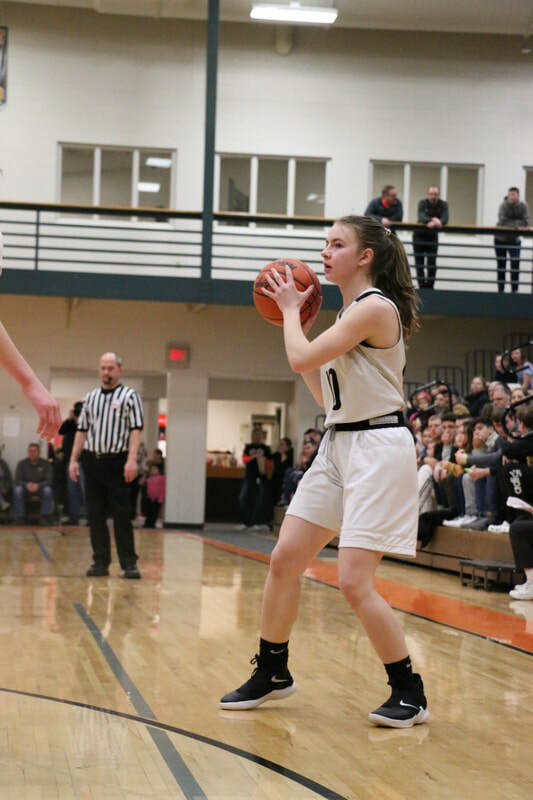 The younger half of Newaygo’s own Sister Act Jaxi was the second leading scorer (14.5) rebounder (4.2) and led the team in steals (2.8) and deflections. She also she scored over 20 points 6 different times. And she is a freshman. 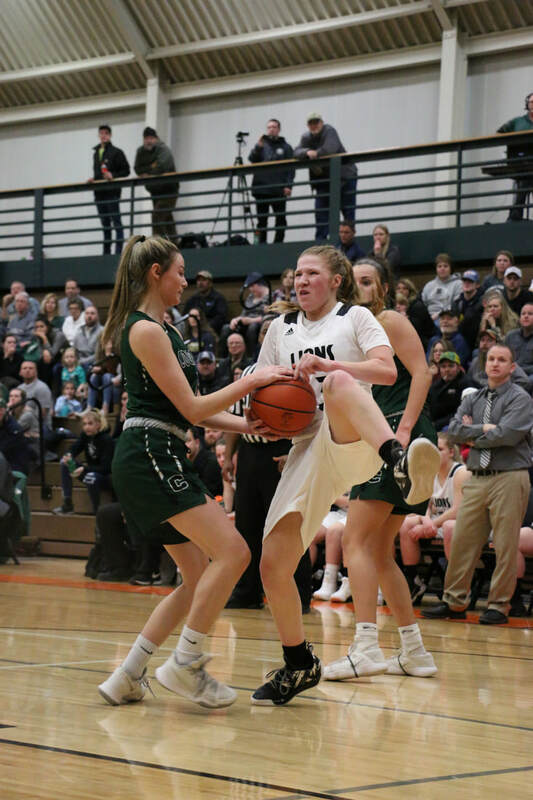 Teams got wise to her scoring ability early on but she has the quickness and guile to find ways of getting free and she is a scrapper on the boards. She had a lot good games this year but her highlighted play was the buzzer beater she made to beat Tri-County on senior night. She also opened her Varsity career scoring 25 points and getting 8 rebounds against Holton. "Jaxi had a good freshman year on Varsity. She obviously can score the ball but she is pretty good rebounder and off the ball defender. She has good basketball instincts. I'm excited to see what her sophomore season will look like after a good offseason of getting stronger." The catalyst for the Packers and a player who can beat you in so many ways. Calla is a gamer and a clutch performer a trait she put on display when she hit a late game 3 point bomb against Newaygo to send the game into overtime where she notched some key assists to help the Pack win. Tremendous on the ball defender averaging 4 steals a game. Before the arrival of Alexis last season teams tossed everything they had at teammate Hannah Brown. Her ability to hit from outside gave WC another lethal scoring option and opened up the offense. Despite missing time with an injury Alexis came back strong finishing with a 9 ppg average and knocking down 30 from beyond the arc. In a game against Holton she fired in a season high 27 points including 7 from distance. 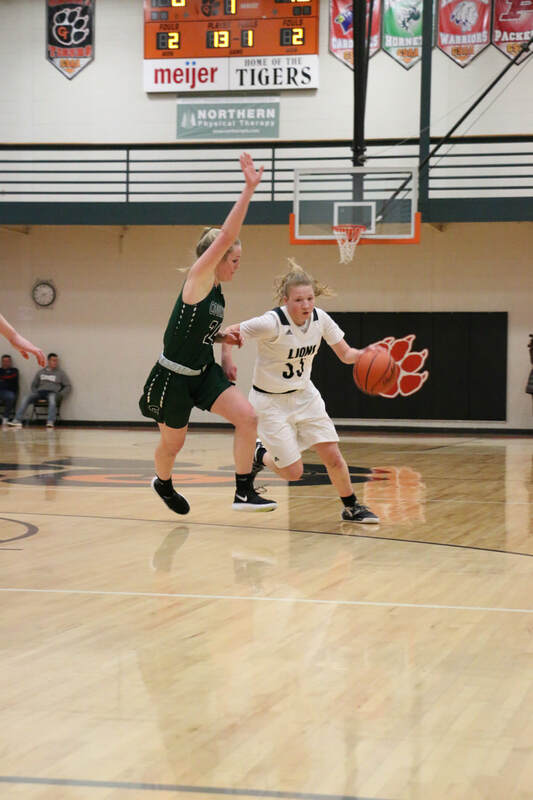 Kirstyn averaged close to 8 points a game for the Tigers. 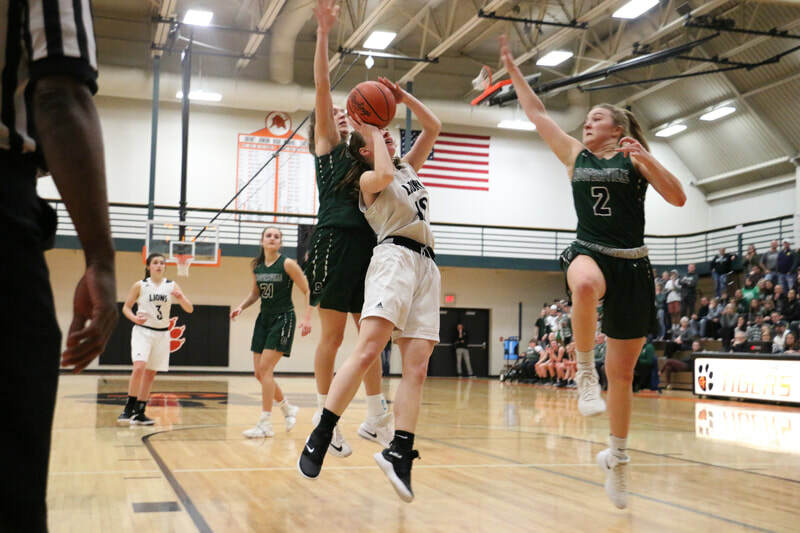 She scored a season high 17 twice including a win on the floor of rival Newaygo when she found her way to the free throw line for 13 of her 17 points. 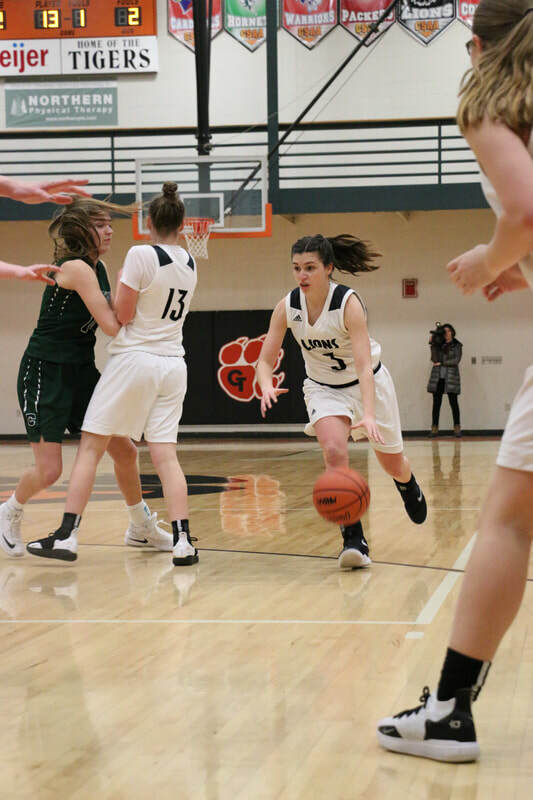 In addition to scoring Kirstyn has a knack for finding her open teammates collecting as many as 8 assists in a contest against Chippewa Hills. The second half of last season saw Paige become a factor in the paint. This season she was a force. 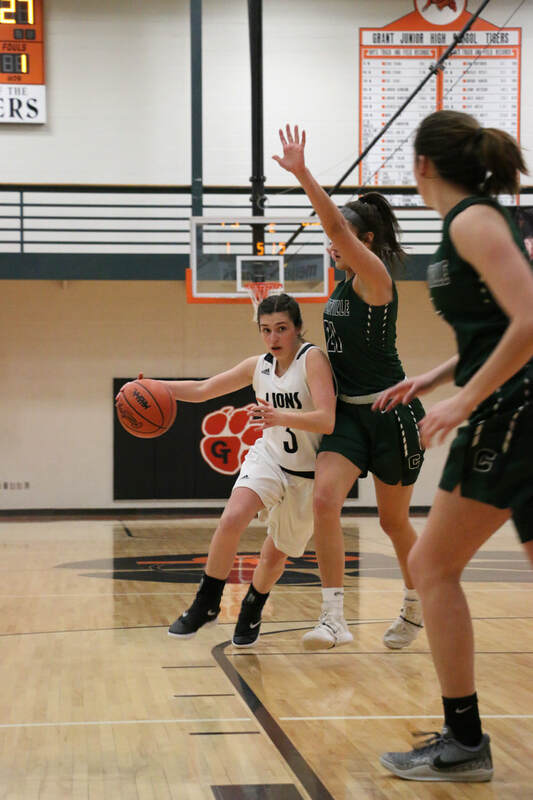 She nearly averaged a double double by leading the Packers with 10 ppg and pulling down an average of 9 boards while defending the goal by rejecting 4 shots a contest.Her highlights included nearly notching a triple double against Reed City and dropping 21 points on Chippewa Hills. Nichole is a relentless defender and possesses what can only be called a subtle quickness as she seems to find a way to the ball. 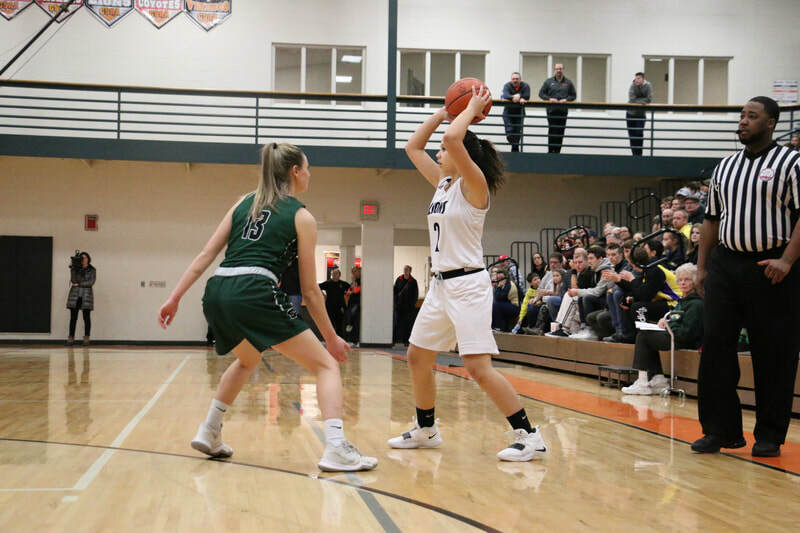 She was a huge factor on both ends of the court in the win over Newaygo grabbing 9 boards and hitting for 15 points. Kade is one of those blue collar gritty players that coaches love and opponents don’t. He does so much away from the ball and became one of the key components of the Lions full court pressure. On offense he directed the flow and found a number of ways to get the ball inside to teammate Swineheart when the defense was doing everything to keep the ball out of the paint. Averaged over 6 points and 4 assists a game. Carter had a good season last year. He had a great season this year. His ball handling is exceptional and he can dish,score, steal and knock it down from anywhere on the court while mixing it up inside against taller opponents. A fan favorite for his unselfish style of play and yet watching him gives one the impression he can score anytime he needs to. Earlier this season he canned a clutch triple against Tri County for the win. Steven led the Indians in scoring this year averaging nearly a dozen points a game. Three times he scored over 20 for an offense that averaged just over twice that. Logan finished as the all time career and season leader in blocks for a Packer team that has had more than a few good defenders over the years. He ruled the paint and changed the way teams played their game while averaging over 13 points and over 8 boards, While he swatted away 4 shots a game what doesn’t show in the stats is the many times players in the paint simply could not get a shot off and stopped attempting to do so. Inna game against Grant he dropped 37 points on the Tigers and peeled 20 off the glass. After going all season without a win his team fell behind 13-0 in the district opener before clawing their way back into contention. In the 4th quarter Jacob scored 11 points down the stretch to give the Panthers their only win of the year. Coach Doug Bolles:”He was our best player on both sides of the court.His defense was always intense, he was all over the court, his all out hustle was evident, no matter what the score. .In my close to 30 years of coaching, Jake is one of the BEST student/athletes I’ve EVER coached.He is a coach’s dream and came back from labrum surgery in the off season (a five month layoff).He has a true passion for the game and he will be missed next season. A great shooter and ball handler in his sophomore year Braiden forced his way into a deep and talented lineup and wound up averaging 10.9 points in about only 16 minutes per game on a team rotating 10 players His best game was against Newaygo where he scored 26 points, 7 rebounds and 4 steals,in just 12 minutes of game action. At 6’5” Calvin combined with his 6’10” teammate to simply shut down the inside game and forced teams to try to beat them from outside. His best game was against Newaygo when he scored 18 points and had 8 rebounds while playing only 12 minutes in the game. Calvin averaged over 10 points a game, took down a half dozen boards and always managed to find a teammate or two with a timely pass. Nathan fired in 17 points a game for a Red Devil team that put together a solid season finishing in a tie for the second spot in the Silver. An all conference selection last year and this year he jumped from a final four appearance with the Holton football team to the gym and led the team on offense averaging 17 points, 5 boards and 3 assists while on the defensive end he nabbed 3 steals a game as well. Coach Luke Houseman: Nathan is a great kid with a lot of potential on and off the basketball court. I am looking forward to see him work hard this off season and have a great senior season. He can really score and we are working on him becoming a shut down defender. Nathan has the ability to play D3 or NAIA basketball and also carries a 3.97 GPA. When Connor wants to score he generally cannot be stopped. Possibly the best all around player in the area he can dominate a game and has tallied over 25 points numerous times. He has spent his senior year collecting accolades from a number of sources including the MHSAA and this season eclipsed the 1000 point mark which will put a basketball with his name on it in the Lion trophy case. Unselfish and cool headed he has been an absolute joy to watch on the court. Connor not only averaged nearly 20 points and 8 rebounds a game he also excelled in the classroom with an unweighted GPA of 4.14. Connor’s senior leadership helped the young Tiger team to a great deal of success this season. He can rip the threads form outside the arc with amazing regularity and performs well when the game is on the line. 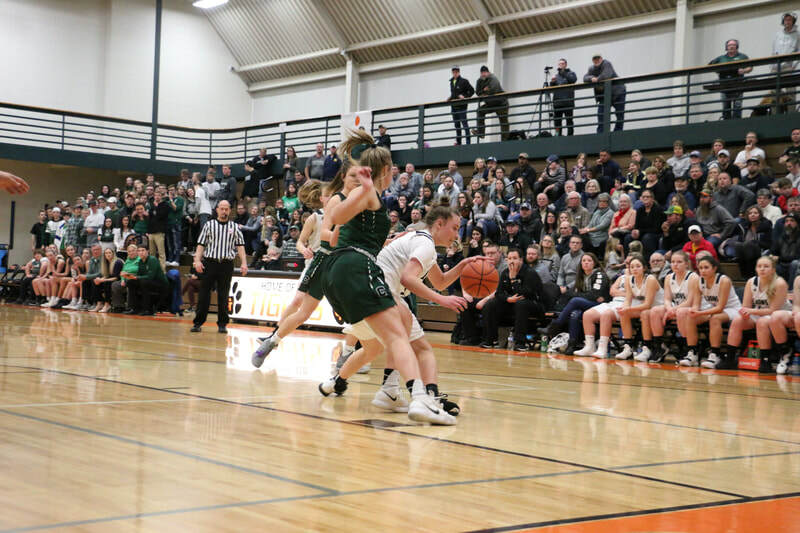 His second half offense helped the Tigers knock off previously unbeaten Morley and in the season ending tournament loss to Sparta Connor did all he could to extend the season firing in 25 points including 5 baskets from downtown. CSAA All Conference Teams have been announced with underclassmen taking 7 of the top 12 spots in the Girls Gold squad and half of the first team selections in the Silver. The Hornets who dominated the Gold and the Eagles who tore through the Silver each placed 3 on the all conference squad and added an Honorable Mention selection. 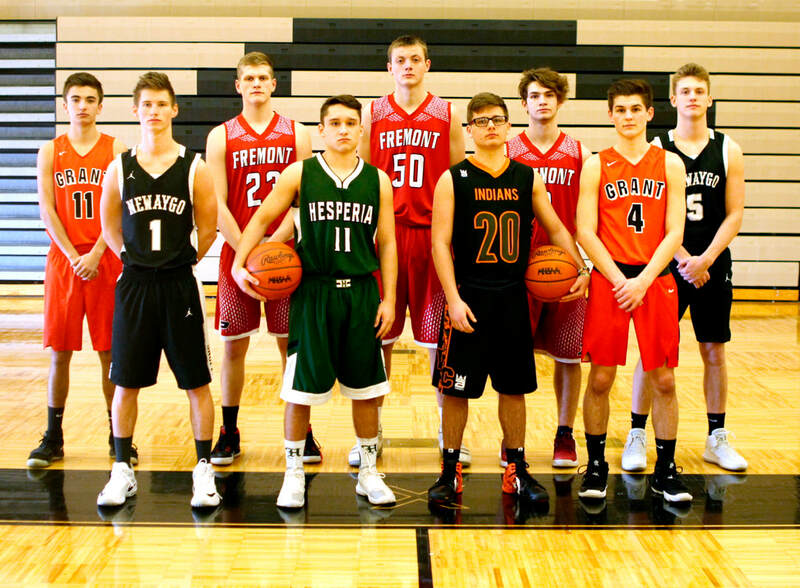 In Boys the league leading Packers and Mohawks each saw 3 players make the first team while adding one on the HM list. Desire to win. 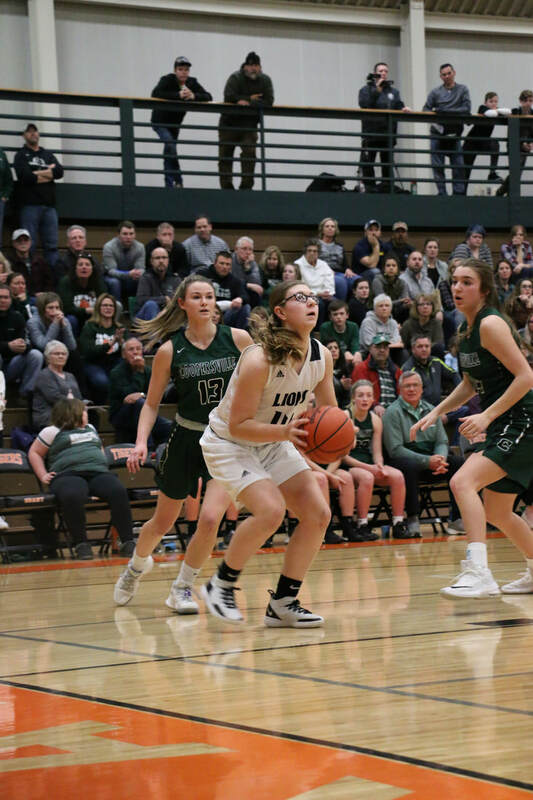 It was the one thing that permeated every move on the court by the Newaygo Lions from minute 1 to the final second of minute 32 during the District Final game against Coopersville. It did not matter that Coopersville was taller, more experienced, or the favorite to win. 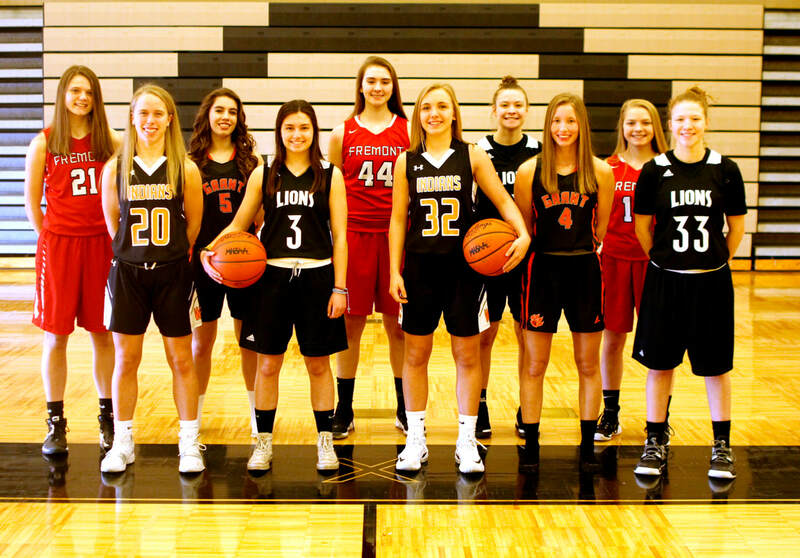 It did not matter to the girls that the Broncos' roster was filled with six seniors and four juniors to the Lions' 2 seniors, 4 juniors, 4 sophomores and 2 freshmen. 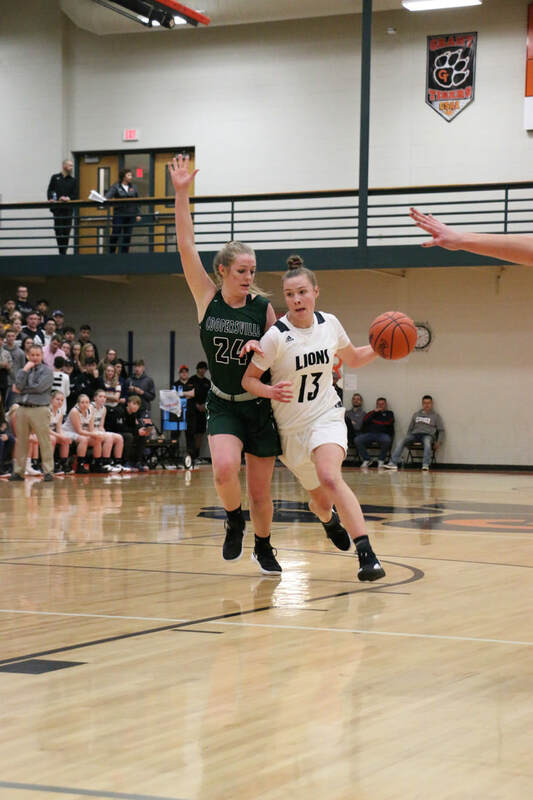 Without cockiness or running their mouths, without stepping outside their abilities, the underdog Lions took to the court on Friday night as a team ready to give it their all. 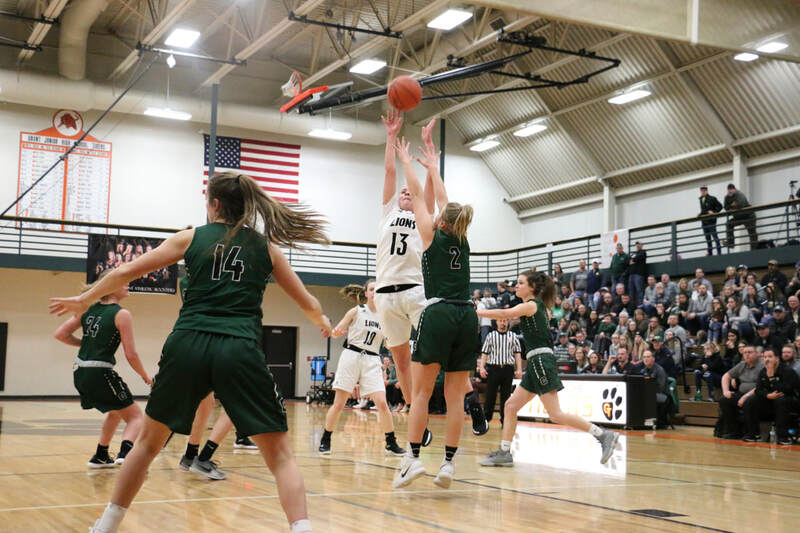 The shots just didn't fall like Newaygo needed them to in order to overcome the size and experience differences. Partially because of the Broncos' smothering of any Lion who dared touch the ball on offense. Coopersville offered zero breathing room; no space to even think about an open look. 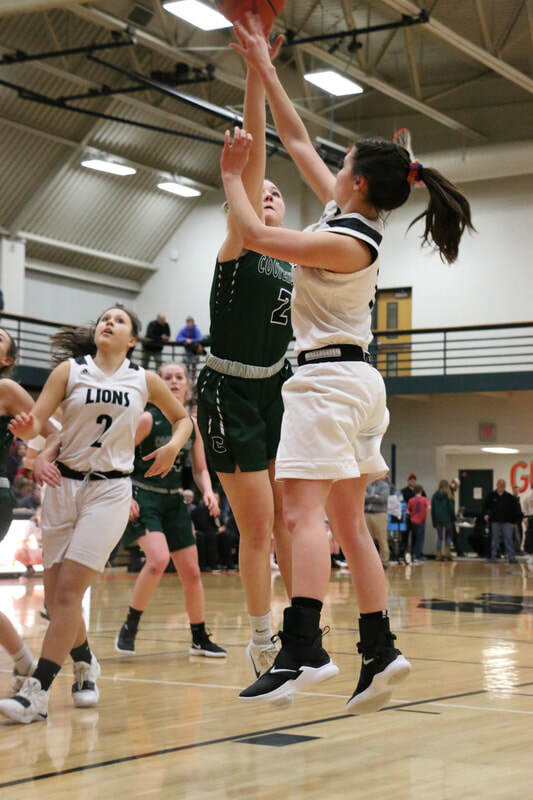 Somehow, despite this consistently stifling defense possession after possession, the Lady Lions stayed in the game for two and a half quarters. At that point, Coopersville seniors took control of the game. 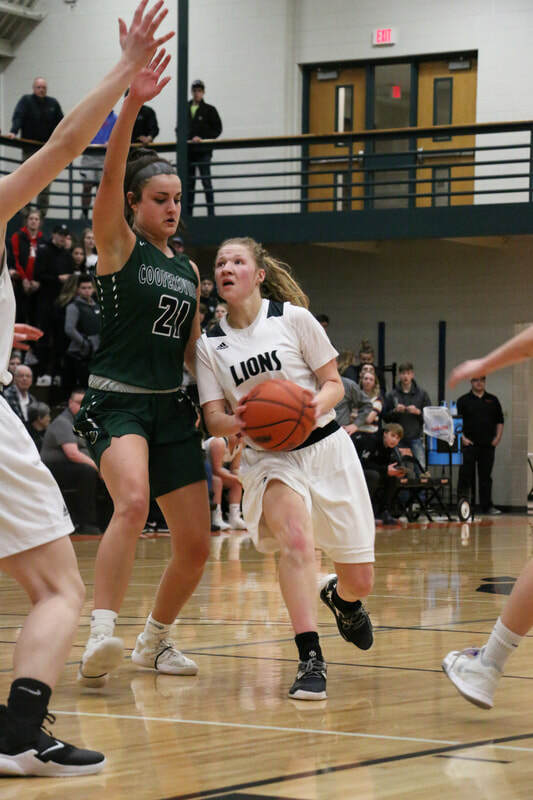 Cara Vankempen turned on her smooth, dominant offensive skills and that was enough to end the Lions' season. 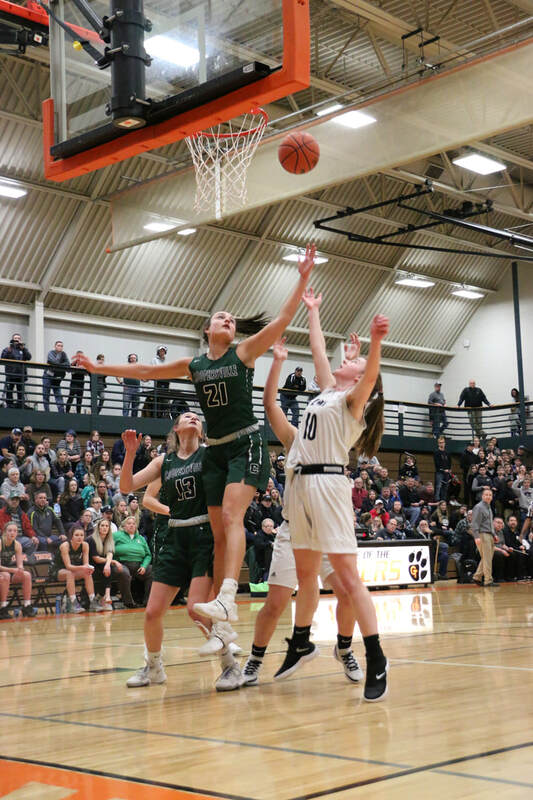 The final score was Coopersville 45, Newaygo 29. "We really played our guts out tonight but we just couldn't get the ball in the hoop. 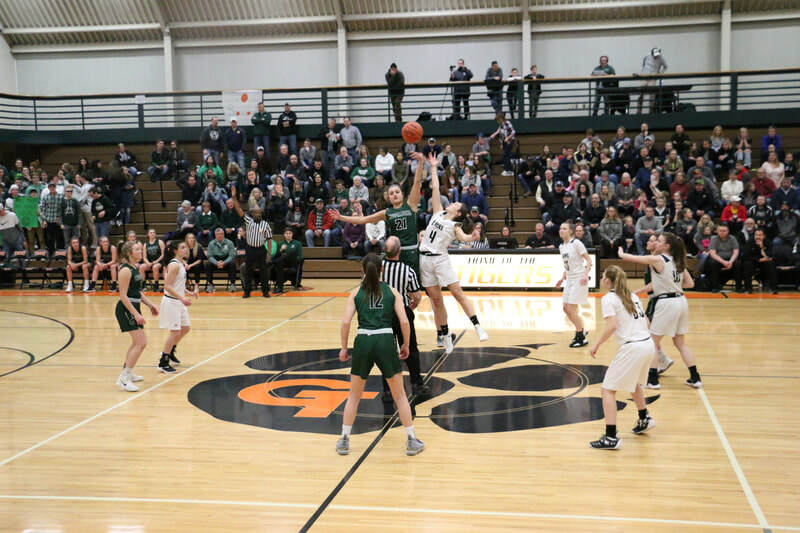 A big reason for that was because of Coopersville," said Lions Head Coach Nate Thomasma. "I thought they played well defensively and made life difficult for us. We really couldn't get any runs going on the offensive end. Couldn't be more proud of my team though. They worked hard like always. It just wasn't our night." Jaylee Long led Newaygo with 14 points and 6 rebounds. Jaxi Long had 9 points. Emmerson Goodin had 8 rebounds. 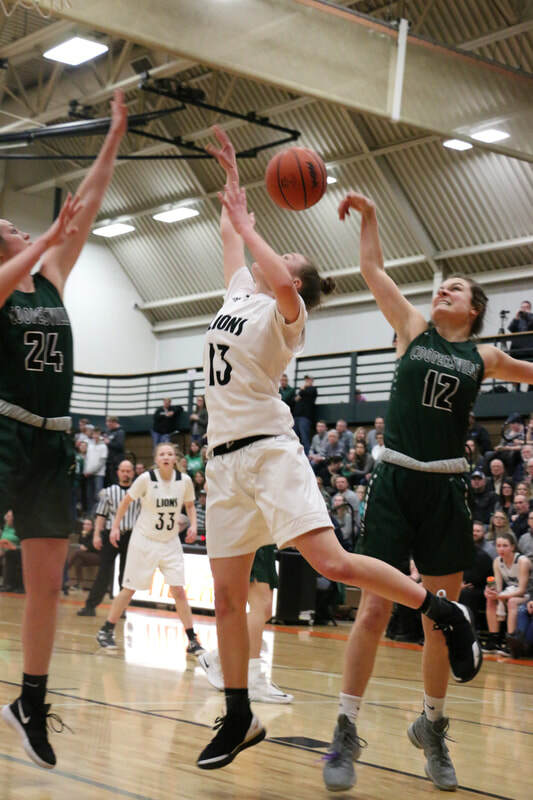 Cara Vankempen led the Broncos with 21 points.